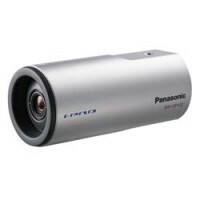 •720p HD images up to 30 fps •Newly developed 1.3 Megapixel high sensitivity MOS Sensor •Multiple H.264 (High profile) streams and JPEG streams ensure simultaneous real time monitoring and high resolution recording by “UniPhier®”, Panasonic’s proprietary System LSI platform. •Full frame (Up to 30 fps) transmission at 1,280 x 960 image size •Super Dynamic and ABS (Adaptive Black Stretch) technologies deliver 128x wider dynamic range compared to conventional cameras. •Face Super Dyn.. 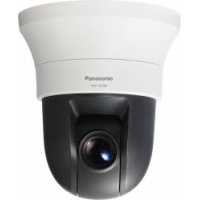 The Panasonic WV-SC588 Super Dynamic Full HD Indoor/Outdoor Day/Night PTZ Dome Network Camera features a 30x optical zoom lens that allows you to capture quality images that do not lose detail even when enlarged. This camera also features Ex optical zoom function that offers up to 90x optical zoom and up to 1080x zoom when using together with the digital zoom (12x).. High Reliability and Smooth Pan/Tilt Mechanism •360° endless panning and tilting between -25° and 205° are availabl..
360° dome network camera with double panorama, panorama, quad PTZ, and single PTZ viewing modes. 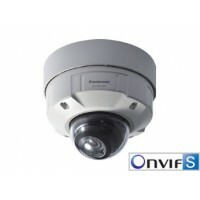 The Award-winning 360° dome network camera that features full-HD 1080p resolution at 30fps, virtual pan/tilt/zoom operation, MEGA Super Dynamic, and multiple transmission modes for versatile monitoring The WV-SF438 is an indoor 360° panoramic 3.0 megapixel dome network camera perfect for a wide variety of markets including education, healthcare, food services, as well as enterprise and governme..
Panasonic WV-SFV310 Super Dynamic HD Vandal Resistant & Waterproof Dome Network Camera WV-SFV310 HD / 1,280 x 720 60 fps H.264 Vandal Resistant Network Camera featuring Super Dynamic 720p HD images up to 60 fps*1 Approximate 1/3 inches, high sensitivity MOS image sensor Super high resolution at HD/1,280 x 720 created by high sensitivity MOS Sensor. Multiple H.264 (High profile) streams (max. 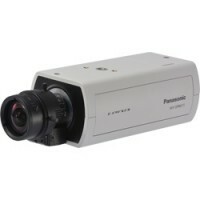 4 streams) and JPEG streams ensure simultaneous real time monitoring and high resolution ..
Panasonic WV-SFV531 1080p Full HD images up to 60 fps*1 Approximate 1/3 inches, high sensitivity MOS image sensor Super high resolution at Full HD/1,920 x 1,080 created by high sensitivity MOS image sensor. Multiple H.264 (High profile) streams (max. 4 streams) and JPEG streams ensure simultaneous real time monitoring and high resolution recording by enhanced "UniPhier®", Panasonic's proprietary System LSI platform. 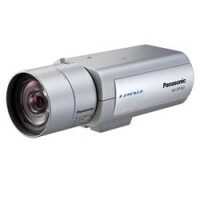 Maximum Screen Size is 2,048 x 1,536* @30fps, H.264 * Used by supe..
Panasonic WV-SFV-631L 1080p Full HD / 720p HD images up to 60 fps Approximate 1/3 inches, high sensitivity MOS Sensor Super high resolution at Full HD/1,920 x 1,080 created by high sensitivity MOS Sensor. Multiple H.264 (High profile) streams (max. 4 streams) and JPEG streams ensure simultaneous real time monitoring and high resolution recording by new enhanced "UniPhier®", Panasonic's proprietary System LSI platform. Maximum Screen Size is 2,048 x 1,536* @30fps, H.264 * Used by super..
･ 4K (3,840 x 2,160) images up to 30 fps, 12M pixel (4,000 x 3,000) images up to 15 fps ･ Ultrawide x6 zoom lens with the newly developed 3-drive lens system (Horizontal Angle: 100.0°(wide) to 17.0°(tele)) [4 : 3 mode] ･ Smart DoF (Depth of Field): Automatically optimizes DoF to enhance focus both for near and far objects within camera view. ･ Digital Noise Reduction: 3D-DNR ensures noise reduction in various conditions. ･ High sensitivity with Day & Night (ICR*) function: 0.3 lx (Color).. The i-Pro SmartHD model WV-SP102 is equipped with a 0.32 megapixel high sensitivity MOS sensor that offers full frame (640x480-pixel) transmission at 30 fps. It utilizes Panasonic's proprietary UniPhier® LSI (Large-Scale Integrated circuit) chip and H.264 High Profile format to deliver real-time video streaming at a lower data size. 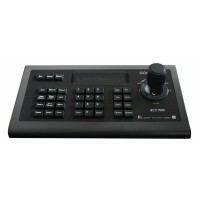 Automatic electronic sensitivity enhancement is 8x, with light sensitivity levels of 2.0 lux (color) and 1.3 lux (B&W) at F2.0 Progressive scan 320,000 Pix.. The i-Pro SmartHD model WV-SP105 employs Panasonic's proprietary UniPhier® LSI (Large-Scale Integrated circuit) chip and H.264 High Profile format to deliver real-time HD video streaming at a lower data size. It incorporates a newly developed 1.3-megapixel high sensitivity MOS sensor for full-frame 1,280x960-pixel images. In VGA resolution mode, the camera offers a 2x extra zoom in addition to the 4x digital zoom controlled by the browser. The camera provides automatic electronic sensitivity enh.. 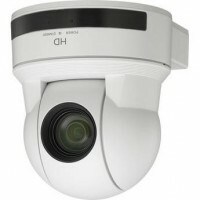 The WV-SP302 network camera is part of the i-PRO 3rd generation i-PRO SmartHD Series. Experience super high resolution at SVGA/800x600 created by the newly developed 1.3 Megapixel high sensitivity MOS Sensor. Multiple H.264 (High Profile) streams and JPEG streams ensure simultaneous real time monitoring and high resolution recording at a lower bandwidth by UniPhier®, Panasonic's proprietary System LSI platform. Wide Dynamic Rance and Adaptive Black Stretch (ABS) technologies deliver wider dynami.. The WV-SP305 fixed dome network camera is part of the i-PRO 3rd generation i-PRO SmartHD Series. Experience 720p HD images at 1,280x960 up to 30 frames per second realized by the newly developed 1.3 Megapixel high sensitivity MOS Sensor. Multiple H.264 (High Profile) streams and JPEG streams ensure simultaneous real time monitoring and high resolution recording at a lower bandwidth by UniPhier®, Panasonic's proprietary System LSI platform. Wide Dynamic Rance and Adaptive Black Stretch (ABS) tech.. 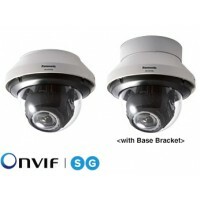 The WV-SP306 fixed dome network camera is part of the i-PRO 3rd generation i-PRO SmartHD Series. Experience 720p HD images at 1,280x960 up to 30 frames per second realized by the newly developed 1.3 Megapixel high sensitivity MOS Sensor. Multiple H.264 (High Profile) streams and JPEG streams ensure simultaneous real time monitoring and high resolution recording at a lower bandwidth by UniPhier®, Panasonic's proprietary System LSI platform. Wide Dynamic Rance and Adaptive Black Stretch (ABS) tech.. 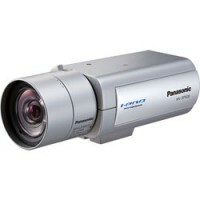 The Panasonic WV-SP508 is part of a series of 1080p full HD network cameras that deliver full HD images and 360p images simultaneously. Panasonic's UniPhier® S newest generation LSI processor provides simultaneous cropping of whole and part images, lower bandwidth storage requirements, more VIQS zones, dual H.264 streaming capability and overall higher-level functionality. VIQS (variable image quality on specified areas), combined with efficient compression, enables network bandwidth reduction o.. 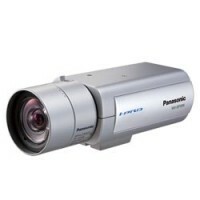 The Panasonic WV-SP509 is part of a series of 1080p full HD network cameras that deliver full HD images and 360p images simultaneously. Panasonic's UniPhier® S newest generation LSI processor provides simultaneous cropping of whole and part images, lower bandwidth storage requirements, more VIQS zones, dual H.264 streaming capability and overall higher-level functionality. VIQS (variable image quality on specified areas), combined with efficient compression, enables network bandwidth reduction o.. 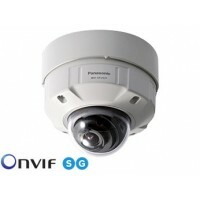 The WV-SPN611 supports HD 720p at up to 60fps and comes standard with Enhanced Super Dynamic (an industry-leading 133dB wide dynamic range), high sensitivity with the latest MOS sensor and Multi process noise reduction (MNR), a suite of advanced image processing technologies, an optional Video Motion Detection (i-VMD), dual SD memory card slots for local recording, two-way audio capability for remote control situations and more. Two extension units are available for this unit. 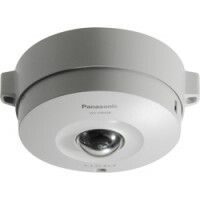 By attaching th..
360° vandal-resistant dome network camera with double panorama, panorama, quad PTZ, and single PTZ viewing modes The WV-SW458 is an IP66-rated weather and vandal-resistant 360° panoramic 3.0 megapixel dome network camera perfect for a wide variety of markets including education, healthcare, food services, as well as enterprise and government agencies. This high quality, yet affordable camera features a low-profile design and virtual pan/tilt/zoom operation that does not require a motor – enab..
GO ELECTRONIC RCC1000 The RCC1000 controller is designed for Sony pan tilt zoom cameras and supports VISCA protocol (meaning it will work with any Sony PTZ camera...EVI, BRC, or SRG series)). It has almost all of the functions of the Sony PTZ camera handheld IR remote and adds a touch sensitive joystick control. In addition to the joystick and keyboard, the controller has a small screen for displaying commands and the camera's working status. Offering similar functionality this controller i.. 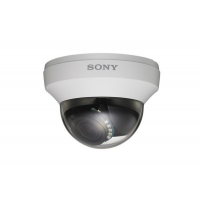 The Sony EVI-D70 Pan / Tilt / Zoom Security Camera (White) is a remote controlled communication video camera that is compact, easy to use, and is ceiling mountable. Incorporating an 18x optical zoom lens, the camera allows a user to zoom in on a small or distant object with exceptional clarity. The unit comes with a wireless remote controller. This "W" model comes with a white housing. 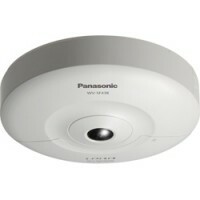 High Speed and Wide Range Pan and Tilt The camera offers a wide pan angle of 170 degrees from center. 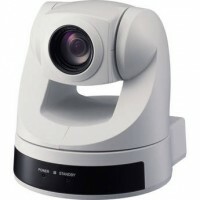 And it..
Sony's EVI-H100S PTZ Camera with 20x Optical Zoom (White) is ideal for videoconferencing, distance learning, corporate training, courtrooms and houses of worship. 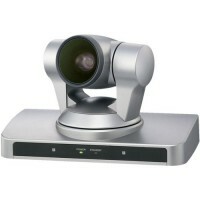 Remote tilt, pan and zoom paired with Full HD 1080p image quality create the feeling of being in the room with remote participants. 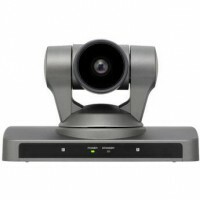 Full HD 1080p EVI-H100S can transmit a Full HD 1080p signal at 25 or 29.97 frames per second. 720p and SD resolutions are also available. 1/2.8-Inch Exmor CMOS Sensor With a signal-to-noise ratio of mor.. Following on the success of their EVI product line, Sony introduces the EVI-HD3V, one of the first HD PTZ cameras on the market. By combining the reliable and versatile EVI PTZ engine with the outstanding resolution of high definition video, the EVI-HD3V makes for a powerful imaging tool in a wide range of viewing applications. These include video conferencing, distance learning, houses of worship, and corporate training. Superb Picture Quality The EVI-HD3V employs a 1/3" HD CMOS delivering h.. Following on the success of their EVI product line, Sony introduces the EVI-HD7V, one of the first HD PTZ cameras on the market. By combining the reliable and versatile EVI PTZ engine with the outstanding resolution of high definition video, the EVI-HD7V makes for a powerful imaging tool in a wide range of viewing applications. These include video conferencing, distance learning, houses of worship, and corporate training. Superb Picture Quality The EVI-HD7V employs a 1/3" HD CMOS delivering h..
High Resolution 540TVL Built In IR (Working Distance 16 m (52 feet ) (50 IRE)) 760H EXview HAD CCD II for high resolution and sensitivity Day/Night (Removable IR Cut Filter) function for improved visibility AC24/DC12 dual power supplySony SSCCM-460R Indoor IR Analog Minidome Camera with Vari-focal lens(3.7x), True Day Night and 540 TVL ..